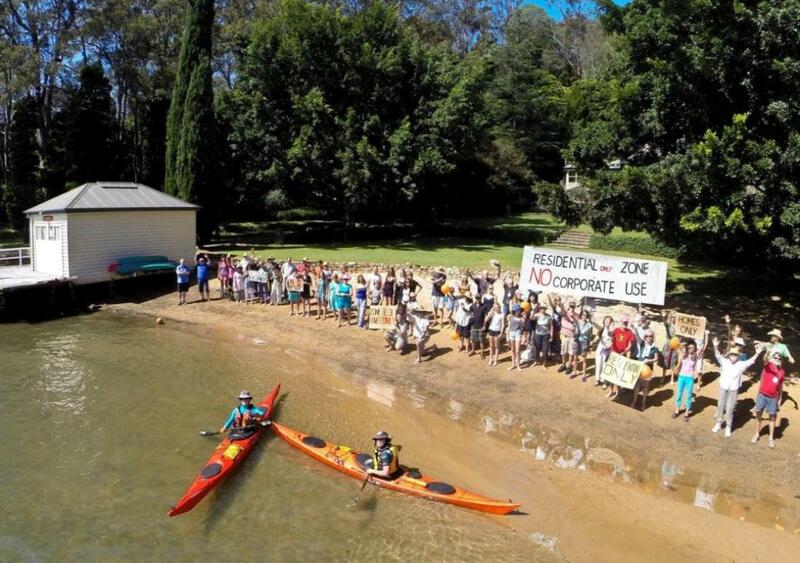 Picnic Against Yamba Development Application! 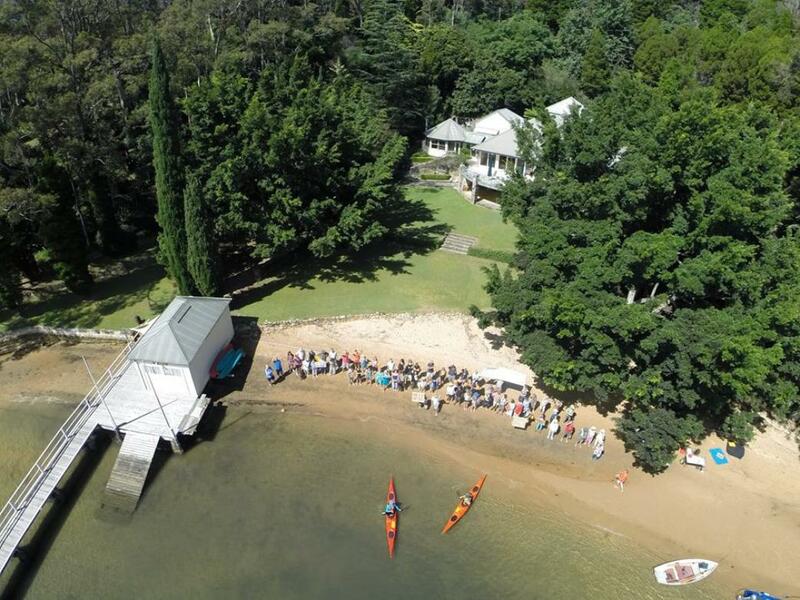 More than 70 Scotland Island residents gathered on the beach on the weekend at the iconic Yamba Estate to protest against a highly controversial commercial development on Scotland Island. 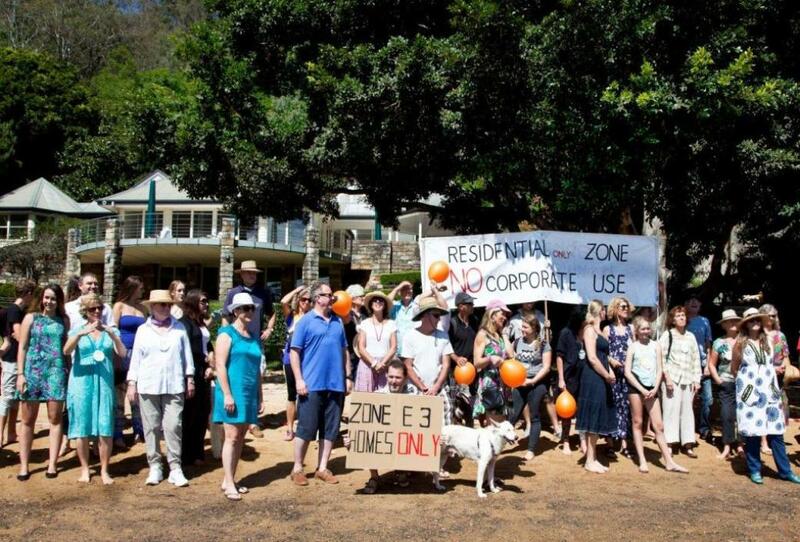 With more than 15 formal letters of objection already lodged with the Pittwater Council, and another 35 to be delivered, yesterday’s protest of leading community members sends a clear message to Council members that this development application is completely unacceptable and should not be allowed to proceed. “Scotland Island is an Environmental Management Zone with only residential accommodation allowed. This building is termed variously as a resort, corporate retreat and training facility and will be occupied by different people all the time that will come for short stays and go. They will not care about or be a part of the community, ” said Western foreshore resident, Jennifer Knox who addressed the group. Ms Knox also confirmed many residents’ concerns about the wastewater and wastewater management plan. “How will this site possibly deal with the waste water of so many visitors?” Not only is the Wastewater management Report based on a variety of optimistic assumptions, its main dispersal site is a 25 metre long trench that approaches within 10 metres of the foreshore. Foreshore soils are not suitable for absorption and leakage of effluent into Pittwater is highly likely. “The residence is subject to a development application that is being processed by Council under delegated authority. It is a clever application that is set up in the guise of a single dwelling however very clearly is a commercial development. The residents are urging council to not just assess the DA in terms of point by point compliance and variation, but to look at the big picture here. It has the potential of another Currawong-like reaction and, if approved, it sets a very disturbing precedence for all of Pittwater,” Ms Knox said. The proposed building would stand just to the north east of the existing main house on Yamba and would contain six bedrooms, seven bathrooms and two dining areas. The main channel for communicating your views is via the Council website following the link above. Scotland Island Residents Association (SIRA) invites comments in relation to the proposed development. Members are welcome to email us at secretary@sira.org.au or post here.